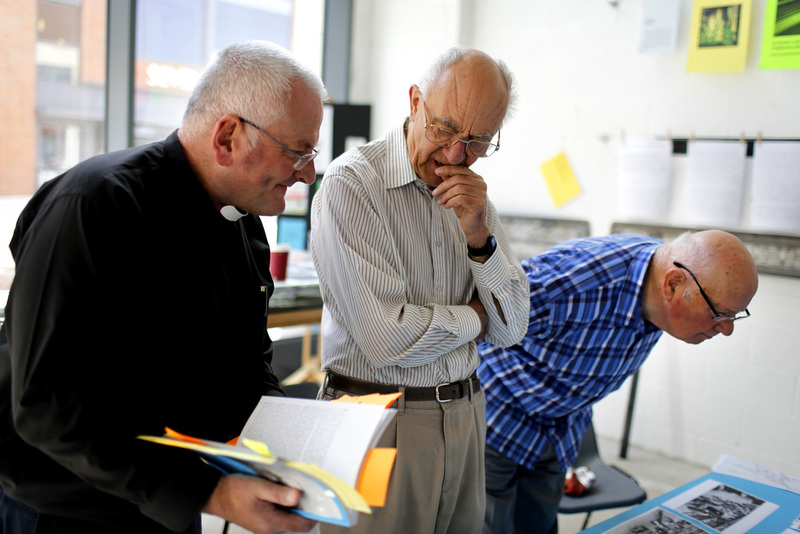 John Baker with Rev'd Colin Corke & Keith Woodfield discussing content for 'Looking at Longbridge' an exhibition of archive material associated with Longbridge. John Baker devised, created and manages the Austin Memories website, an extensive historical archive of the Longbridge car factory and its origins. The website has been an invaluable resource to the project. John has been involved with and incredibly supportive of all stages of LPAP by working directly with LPAP artists-in-residence and the WERK team. His guidance and knowledge of the area's history, his creativity, lateral thinking and engineering expertise has been instrumental in the ongoing development of a number of projects and activities within LPAP. 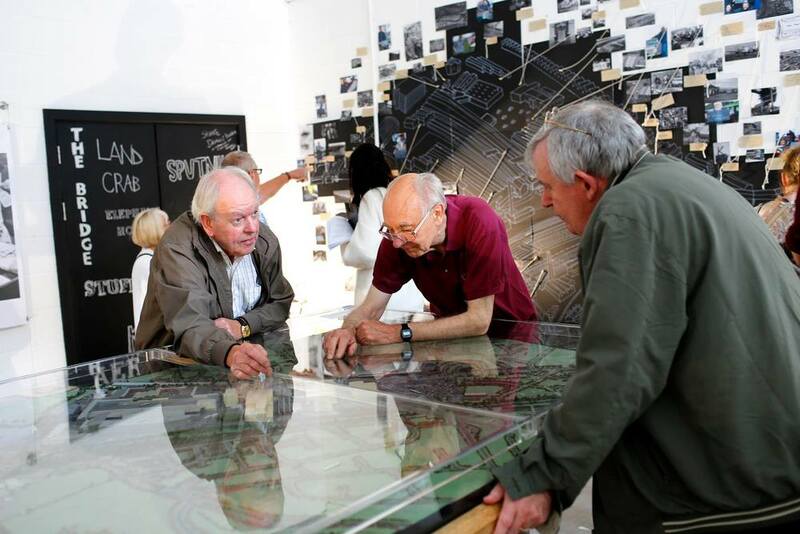 John also helped to co curate the 'Looking at Longbridge' archive exhibition in 2014 as well as being a an ongoing valued member of the LPAP Steering Group.